Cisco predicts that over 50 billion of smart devices will be in use by 2020. An essential technology that connects most of these devices is Bluetooth. 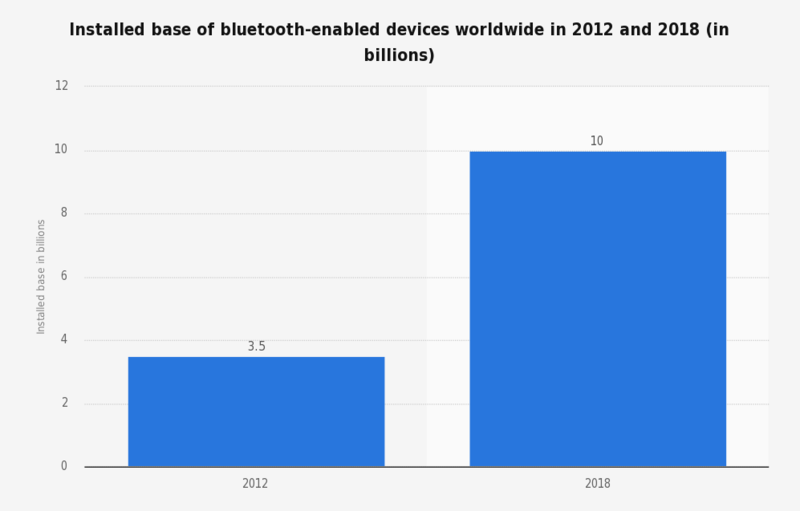 Mark Powell, the executive director of Bluetooth Special Interest Group, also mentioned that around 8.2 billion devices around the world, ranging from smartphones and laptops to beacons and cars are connected with our very own Bluetooth. With this prodigious increase in the number of connected devices, the rise of expanding the range and speed has developed. Bluetooth SIG recently announced the first major update to the Bluetooth standard since 2009 – Bluetooth 5. 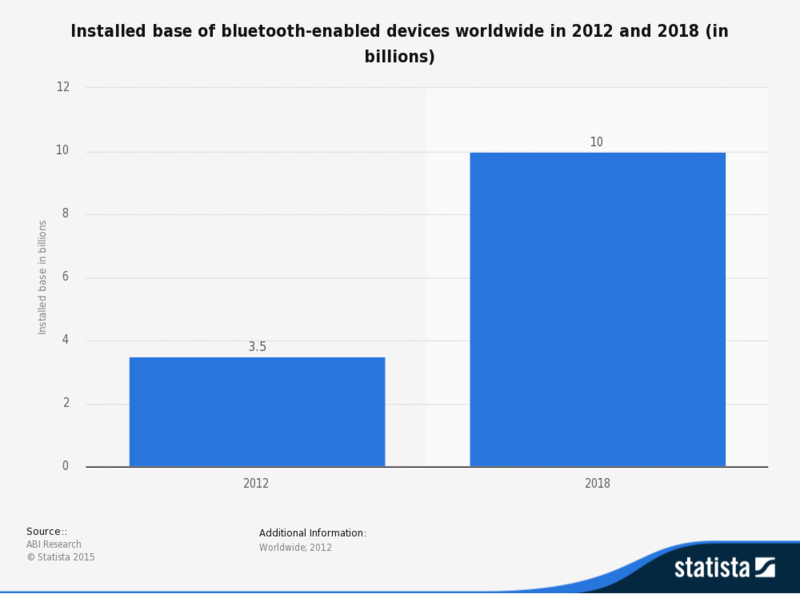 ‘New version of Bluetooth technology delivers “connectionless” IoT, advancing beacon and location-based capabilities in the home, enterprise and industrial’ – Bluetooth SIG. It will include significantly increased range, speed, and broadcast messaging capacity. Internet of Things has now become a household name by implementing the technology for home automation. Nearly, 6.4 Billion objects are estimated by Gartner to be connected by the end of 2016. The new version of Bluetooth will not only enhance IoT but also make it more efficient. The next generation IoT upgrade – Bluetooth 5 will have faster connectivity speed and four times the extended range. This extended range also means that Bluetooth will now probably replace WiFi as a communication technology for most IoT applications. It will remove the power consuming WiFi proving an enhancement to the BLE applications for home and industrial automation. Power consumption plays a vital role in the wearable sector. The user will be able to transfer the data at double the speed saving a lot of time and energy through Bluetooth 5. This, moreover, increases the efficiency of device usage along with the reduction in power consumption to half. According to ABI research, more than 371 million Bluetooth enabled beacons are projected to ship by 2020. BLE app development will have a major impact with this new advancement of Bluetooth. Moreover, as it claims to be ‘connectionless’, BLE and Beacon app development will be the next technology after IoT to receive the benefits. The devices will now be able to receive and interact with location-based services without having to install any additional apps or set up any connection beforehand. Bluetooth 5 will pitch the deployment of iBeacons for faster and more information sharing. With iBeacons and Bluetooth 5, the broadcast messaging capacity will grow upto eight times. Beacon app development would be increasingly in demand to provide a business pace forward with customer retention strategy. For the contextual awareness scenarios such as asset tracking the warehouse, smart city management and emergency response, the combination of Bluetooth 5 and beacons will prove as a boon for the visually impaired. What does Bluetooth 5 offer? Transfer the data at a faster rate (almost twice): Faster and optimized responsiveness. Consume less power: Lesser the consumption, more reliable IoT Connectivity. Make IoT ‘connectionless’: Increased broadcast capacity. Advancing BLE efficiency: Wider range and response speed ensures the efficiency. Make beacon app development more efficient: Advancing the location based capabilities. Enhance the range: Extending range will deliver robust, reliable Internet of Things (IoT) connections that make full-home and building and outdoor use cases a reality. With these benefits, Bluetooth will stay ahead by enfolding technological advancements from power efficiency to IoT connectivity, to push the limits of innovation in the field on iBeacons. LetsNurture will surely look forward to adopting this innovative feature in its services and offerings. We have a team of skilled developers with expertise in beacon app development. Not only a faster but reliable solution is guaranteed from the team of LetsNurture with this advancement of Bluetooth 5. To know more about us, you can contact us at info@letsnurture.com. You can also receive a free quote from us for your business requirements.